The DALI LED Driver 100W combines the superior performance you`ve come to expect from Fahold with the classic look of a traditional Linear Led Driver.Dimmable Led Driver 24V Its high efficiency up to 91%, a 70% energy reduction versus a 100W metal halide fixture. fahold LED Driver 100W No-Flicker driver also has multiple reflector options, making it a perfect 1-for-1 replacement in high and low bay applications where a traditional look is desired. Dimming: 0-10V/PWM/Resistor/dali dimming standard. Capable of dimming down to 10%. Constant output current adjustable, output voltage autoadaptation,efficiency up to 91%. Looking for ideal DALI LED Driver 100W Manufacturer & supplier ? We have a wide selection at great prices to help you get creative. All the LED Driver 100W No-Flicker are quality guaranteed. 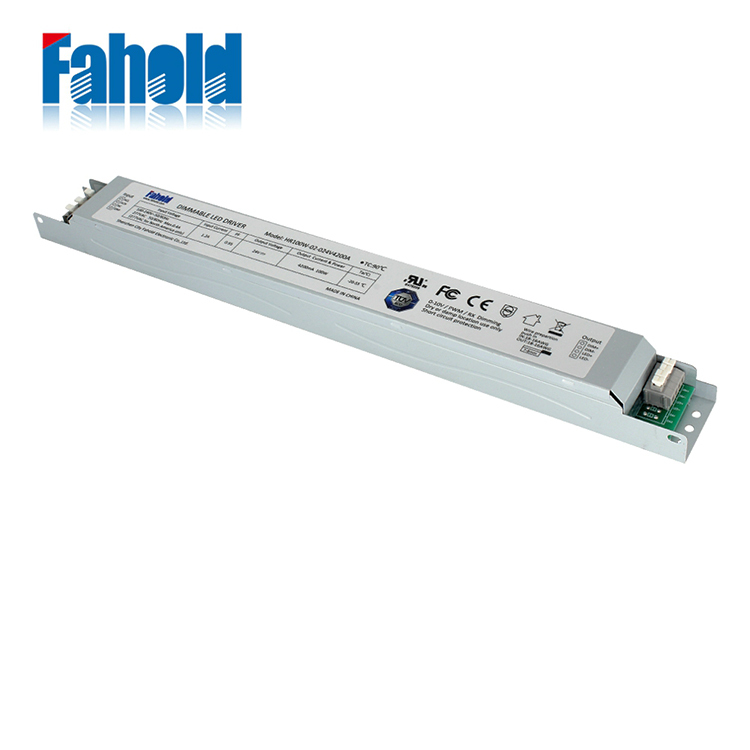 We are China Origin Factory of Dimmable LED Driver 24V. If you have any question, please feel free to contact us.